Michael Gray, who recently celebrated his 70th birthday, says his life now is “well rooted in both family life and livelihood.” That’s a calming statement coming from this well-traveled author who has written fiction and non-fiction. Before coming to Albuquerque, where he resides with his family, he lived in Montreal, Canada, where he had short stories and poetry published in the magazines Antigonish and Wascana Reviews. His travels have taken him to Europe for six months and South America for three. It was during two years he spent in Canada, working on farms, ranches and in an open-pit copper mine, however, that he began to see his future as a writer. 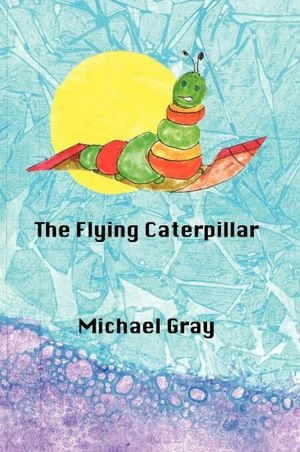 Gray describes his book, “The Flying Caterpillar,” as a tale that relates to his future, “like a light going through an open window,” he says. The Flying Caterpillar is his memoir, which he started after attending some writing workshops that helped him gather his scattered thoughts. He credits with helping him finish his book both Lisa Lenard-Cook, a writing coach he encountered in New Mexico, and Marijon Garcia, the reader who inspired him to keep going despite any distractions or obstacles during writing. Gray’s most recent published piece is “Asleep at the Wheel of Time.” He says the science fiction novel has been in the works for more than 20 years, so he was glad to finally see it to fruition. Gray also is co-founder of Friends in Time, which has no doubt influenced his writing. The non-profit serves people with neuromuscular diseases, such as multiple sclerosis and amyotrophic lateral sclerosis, or ALS. Friends in Time, now part of Adelante Development Center Inc. in Albuquerque, has played an important part in Gray’s life, he says. ABQ Press published both of his latest books.